Tomorrow at 10 am UK time on the 21st of June I will be taking part in the world’s first 24 hour tele-seminar promoting Energy Healing. This is going to be a huge event. Carol Look, Nick Ortner, Mary Sise, Rick Wilkes, Bradley Nelson, Alex Loyd, Rick Wilkes, Eleanor Duyndam, Andrea Hess, Mark Joyner, Lisa Garr, Noah St. John, Symeon Rodger, Adoley Odunton, Jessica Ortner, Ingrid Dinter, Maryam Webster, Brad Nelson, Debra Thompspon, Anne Pustil, Carol Solomon,Carolyn Cooper, Till Schilling, Richard Gordon and more. I will be hosting the show from 10 until 11 am UK time. I have spent the last couple of days connecting some of the really interesting, inspiring people that I have met over the years, and asked whether they would like to share how EFT has helped them or how they are helping others using it. Janet Broughton: Janet will be talking about how EFT helped her make a full recovery afterbreaking her back in a car accident. One of the amazing things about Janet’s story is that she is just on the verge of leaving the UK to set up a YOGA Retreat! It wasn’t that long ago she walked with a stoop and was in a lot of pain and was told there was nothing more the health services could do for her. 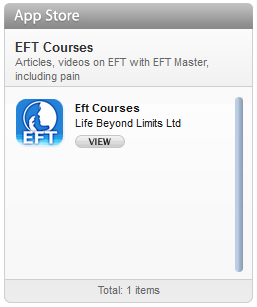 Mair Llewellyn: Who recently used EFT in her recovery from a cancer diagnosis. Mair has kindly agreed to tell her inspiring story. 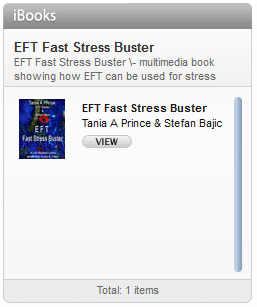 Mair is a leading expert in EFT and has extensive experience working as a therapist. Su Grainger: Su is a gifted singer. However when I first met her; her gift was clouded by her nerves. 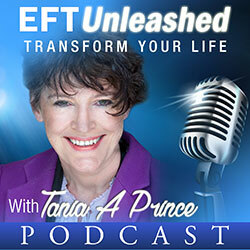 She will share how EFT helped her overcome the blocks that were holding her back and how she now runs her own company teaching others to sing, runs concerts and has released her own CD’s. Anne Yates: Who I first met many years ago when she was having panic attacks and was borderline agoraphobic. EFT has helped her turn her life around, she now is a therapist and trainer. She has flown to Dubai without any qualms and has turned her life around. George Brooks: Will be talking about the difference that EFT has made in his life and also how he is now using it to help self-harming teenagers. Shannon Douglas: A few years back I asked for volunteers for the EFT videos I was filming. Shannon took part in the event. The problem she wanted to deal with was the fact she felt stuck in her life. Her job was taking up all of her time, she felt caged. She felt she had no options, she did not have the time to work on developing a new career. She wanted to branch out and become a therapist. We cleared the “stuckness” (I am not sure that is a real word- but you get the gist) within a few weeks, she was dismissed from her job, the next day she was offered a higher paying job. Where is she today; she is running a successful therapy practice. Shannon will share her uplifting story. Julie Brett-Bellis: Who will share her story at how EFT has helped her deal with her bereavement after her husband passed on. Maureen Fearon: Is known as the “love guru” on TV and radio, will talk about her work using EFT with helping people get into loving relations; get back on track after going through a divorce. She runs flirting classes, helping people learn the art and skill of connecting with people. Ruth Norden: Will talk about how EFT helped her overcome social phobia. Amazingly Ruth worked as a teacher prior to finding EFT. She now practices as a therapist and has given talks on EFT. All guests will be phoning in bar any technical hitches and timing issues 🙂 It is a busy schedule, but still it should be really lively. I am going to thank all my guests for agreeing to join me on the show to share their stories and knowledge with me and the listeners.